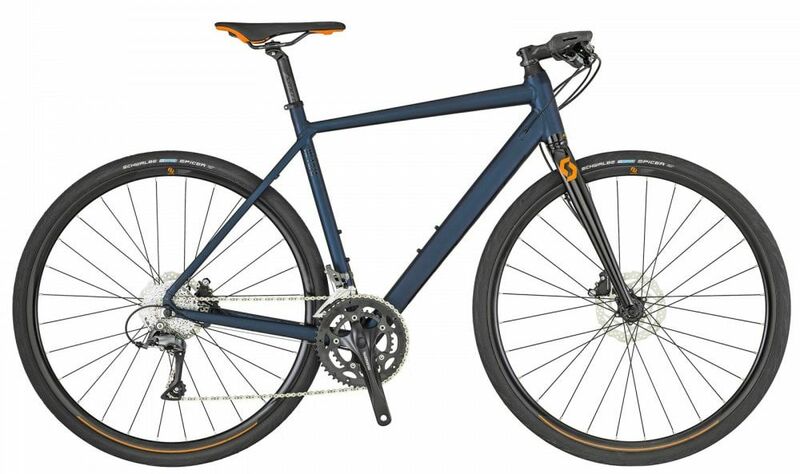 Hybrid bikes are exactly like it sounds, a fusion of road and off road bike. There are many varying levels between them to better suit the riders requirements, which will mainly be based on comfort, speed and terrain. A hybrid is generally less specific about its use, making it better suited to someone who doesn't wish to sacrifice weight and speed, at the expense of owning a more multi purpose bike. We keep an extensive range of the best quality bikes in Somerset and Dorset, from some of the best brands such as Merida, Scott and Genesis. Whether you're looking for a traditional town & country, urban, road race bike, we've got you covered. *Free lifetime basic adjustments to improve bike fit, it does not include any required parts.